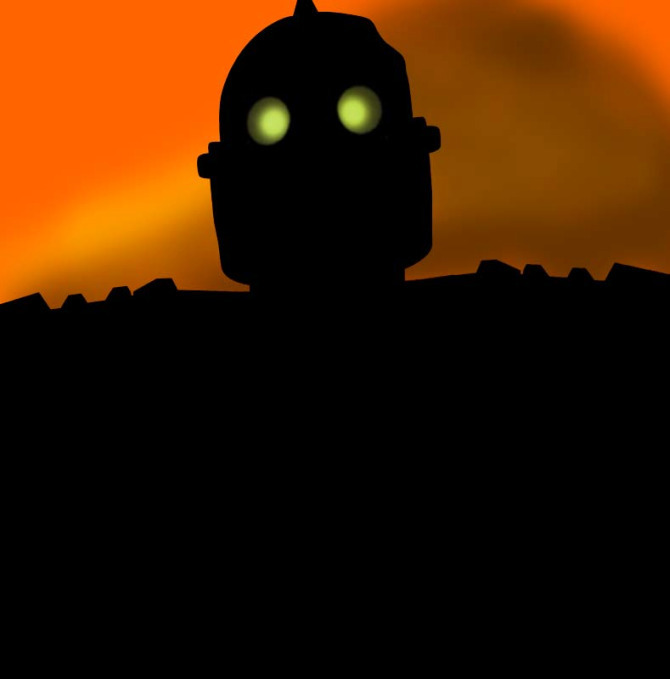 The Iron Giant was a movie that felt set up to fail. I watched the film on it’s release date – August 6th, 1999 and on opening day, I was forced to go to an afternoon showing because there was not a single showing scheduled after 5:00 PM. Exhibitors had no faith in the film, the studio had no faith in the film and audiences weren’t given any opportunity to watch it so they could decide for themselves. On that same day, two other major films were released. One was Mystery Men, which I watched immediately following The Iron Giant. The movie is fun but not particularly memorable. Yes, I do own a copy of Mystery Men. I said it was fun. The other movie released that day was The Sixth Sense. Perhaps you’ve heard of it. So that day – August 6th, 1999, launched two careers. On one hand, you had Brad Bird, who made what is arguably one of the five best animated feature films of all times (two – he also made The Incredibles). On the other, you have M. Night Shyamalan who showed so much promise. Those of us who saw The Iron Giant on opening weekend went on the warpath. We felt that if we could tell enough people about the film, it would be saved from box office oblivion. How could people be so oblivious to it? Parents weren’t even taking their kids to the film. Within geek circles, the film is something of a pet project. Over ten years later, we continue to lament the fact the film was so poorly mismanaged and make it our goal to infect as many other people with the film as possible. To this day, we are frustrated that more people can quote mine Mystery Men and debate the ending of The Sixth Sense than remember who provided the voice of the giant (Vin Diesel). A lot of good movies fail. They fail for many reasons. Sometimes they just don’t connect with an audience. Sometimes the studio fails to market them correctly. The Iron Giant failed because an audience wasn’t permitted to find it. By the second weekend of release, most theatres had already dumped it to one or two showings a day. If I’d not seen the film on opening weekend, I would have had a hard time seeing it at all. When I re-watch the film, I continue to be puzzled that nobody involved in the process of marketing this film realized what a gem they had on their hands. At some point, didn’t someone notice that they were looking at something special? Maybe they did and nobody listened. The critics certainly heaped praise on the film. Nobody listened to the critics either. In the end, it was a movie few heard about and even fewer watched. Those of us who did have spent a great deal of time trying to create converts. One by one we hope to win over everyone who hasn’t seen the film. It’s a tough job, but it’s totally worth it. I loved this movie, but I didn’t get to see it until 3 years after release when a friend of mine made me watch it with her. So sad I missed it in theaters.